Student advisory has been CANCELLED?! This is no Adele song, but rumor has it that student advisory has been cancelled. Eighth and ninth grade students are surprised to arrive back at Springville Jr. High with the news. After a great summer, students discovered they have an extra quest time in place of Friday advisory. School year 2017-2018 will never be the same. You may be itching to learn why on earth they cancelled Friday advisory. Mrs. Shepherd, the Springville Knights vice principal, explained we did not do advisory very well. Friday assemblies took away from our one-day-a-week advisory time. Lessons were created, but most of the students say they never did them. Nevaeh Chavez stated “I would not bring advisory back because we never did the planned lessons, we just watched movies.” Overall, it did not go as planned. Teachers and parents gave feedback to the community council, and the council decided to not bring it back this year. Although we did not have advisory very often, it is still a big change to SJHS. It is affecting the springville knights school in different ways. Nevaeh said “ It is affecting me because I don’t get no movie time!” A lot of students watched movies in advisory instead of doing the lessons. Oliva Ottley, an involved student at the school, said she would much rather have quest time because nobody liked advisory. Madeline Park said “I learned how to play a few video games but that is it.” Another reason they cancelled it is because students did not get what parents and teachers intended them to get out of advisory. In all, it is for the best, because another day of quest could help students get better grades. When we had advisory, students had to go into a specific classroom instead of a classroom they needed to go to. 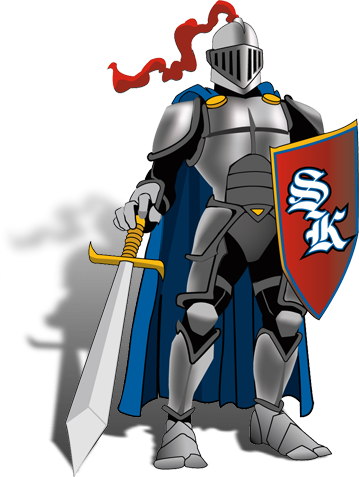 Springville Junior High Knights now have an extra quest time! We will run a modified schedule on Monday, August 21st for all seventh graders. Come meet your teachers and get acquainted with the school from 9:00-11:15. We will have popsicles and an eclipse viewing party afterwards if you'd like to stay. There will be an open house for all students and parents on Monday, August 21st from 3:00-5:00. Teachers and administrators will be here to greet you and show you around.